Most recipes don't specify what type they mean when they call for onions. While using whatever kind you already have won't necessarily ruin a dish, using the best one for what you're cooking will definitely make your food taste better. There are no strict guidelines for what onions goes with what, or what onion should be cooked this way or that way, but there are a lot of general rules out there that home cooks and professional chefs use based on certain cooking methods and flavor combinations. If the recipe doesn't specify an onion type, choosing one at the grocery store can be a little confusing. So, here's a guide to all the different types and what they go best with so you always know which one to grab. 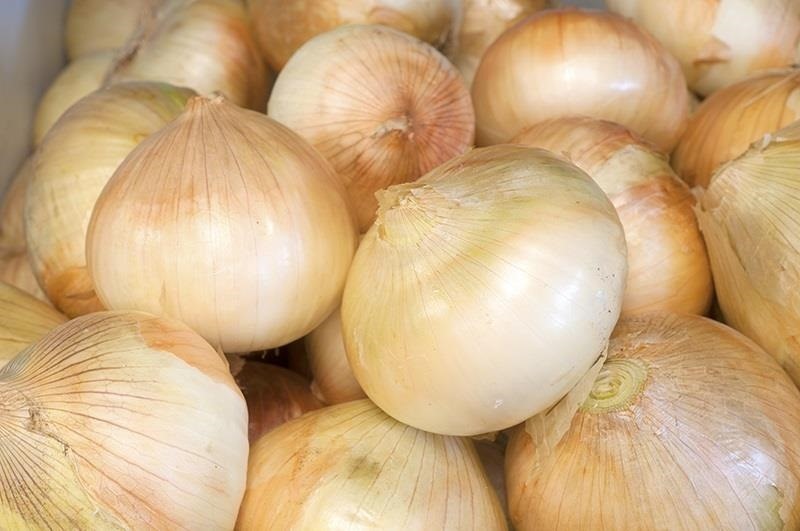 The most commonly used onions are yellow onions, which are also called brown onions because of their thick brown skin. They work in almost anything, which is why they're often referred to as all-purpose onions. If you don't know which to use or the store doesn't have the type you need, these are the safest alternative. When they're raw, yellow onions have a sharp taste, but they mellow out as they cook and caramelize easily. The longer you cook them, the sweeter they get. You can use yellow onions in pretty much anything, but they work really well in dishes that require long cooking times or as the base in stews, stocks and soups, and they're great in meat dishes. White onions can be used in a lot of the same dishes as their yellow counterparts, but they have a more pungent flavor and thinner, papery skin. They have a high water content, which makes them very crisp. White onions sometimes still have the green stalk attached, and they're most commonly used in Mexican cuisine. 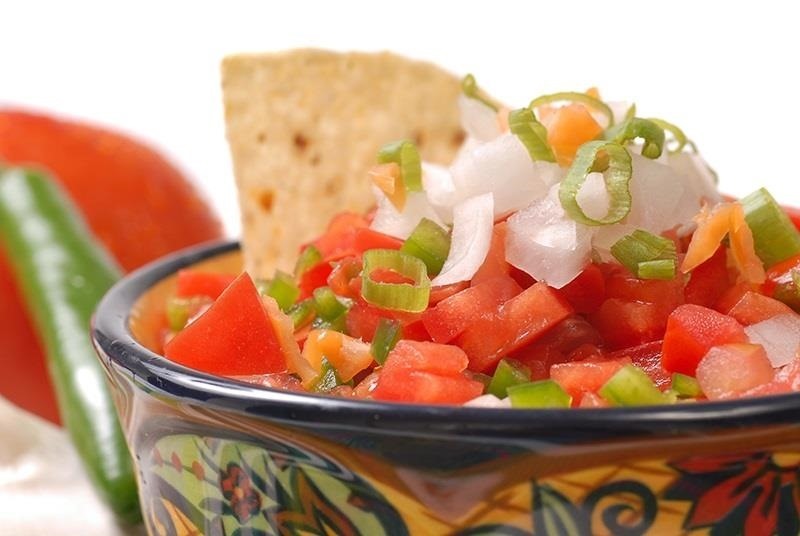 Their texture makes them perfect for salsas, chutneys, and in other raw preparations. 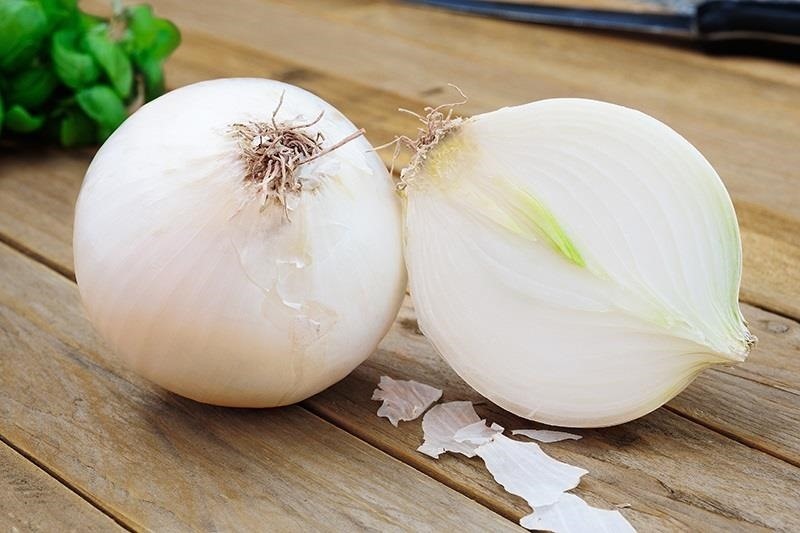 There are several different types of sweet onions, but some of the the most popular varieties are Mauis, Walla Wallas, and Vidalias. They don't have the sharp, pungent flavor that other onions do, which makes them great raw in salads or on sandwiches. Sweet onions are great for caramelizing and in dishes that feature onion as a primary flavor, like onion soup. 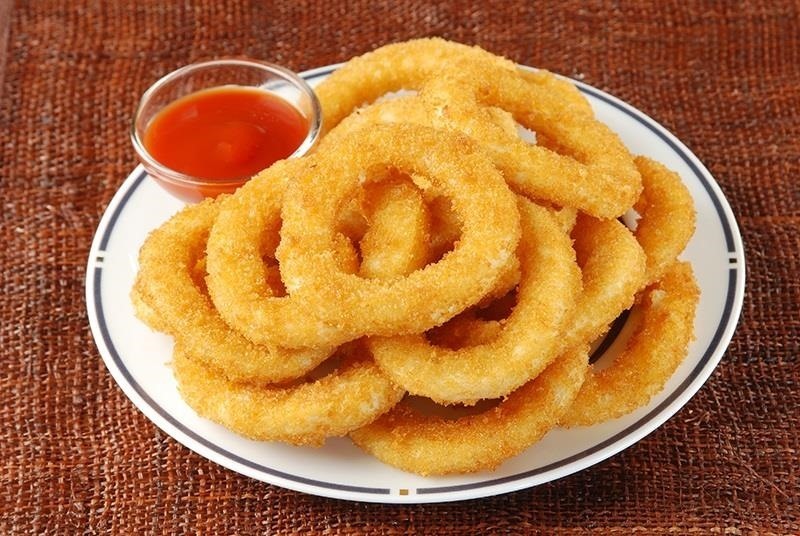 They work really well roasted with other vegetables, and they make the best onion rings since they're sweet and usually flatter than other onions. The prettiest of all the onions, red onions have deep purple skin and a mild flavor. They're best raw in salads, salsas, and as a toppings on burgers and sandwiches because of how mild they are. They can be used in cooked dishes as well, but the onion flavor isn't nearly as strong when they're cooked. Use as toppings for burgers and sandwiches, or in salads, salsas, etc. 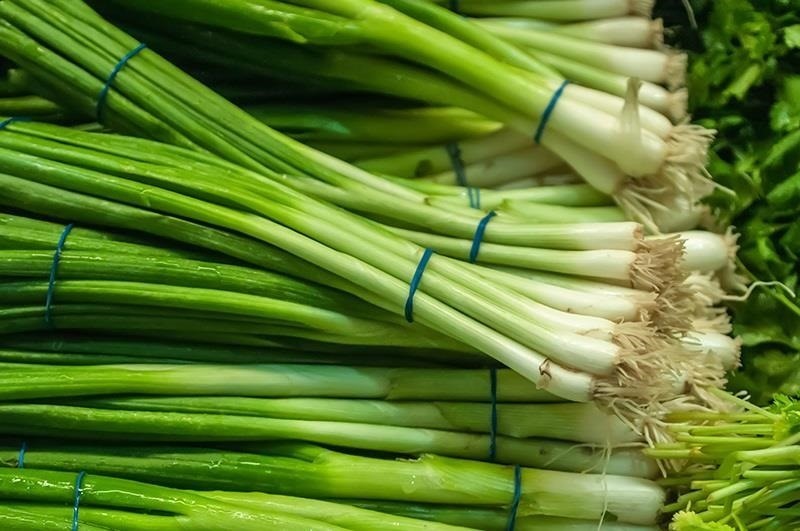 Green onions, also called scallions, are most commonly used in Asian and Latin American cooking, but they're great in a wide variety of dishes because they have a very mild flavor. Spring onions are very similar and look almost the same, but they have larger bulbs and a stronger flavor than green onions. The white and white/greenish ends have a much stronger flavor than the leaves and are better cooked. The green straight leaves are very mild and are great in both cooked and raw preparations, or as a garnish in soups, salads, or chili cheese fries. Some people actually think the white part is inedible, but you can use the whole thing down to about half an inch above the roots—but don't throw them out! They're super easy to regrow from scraps. 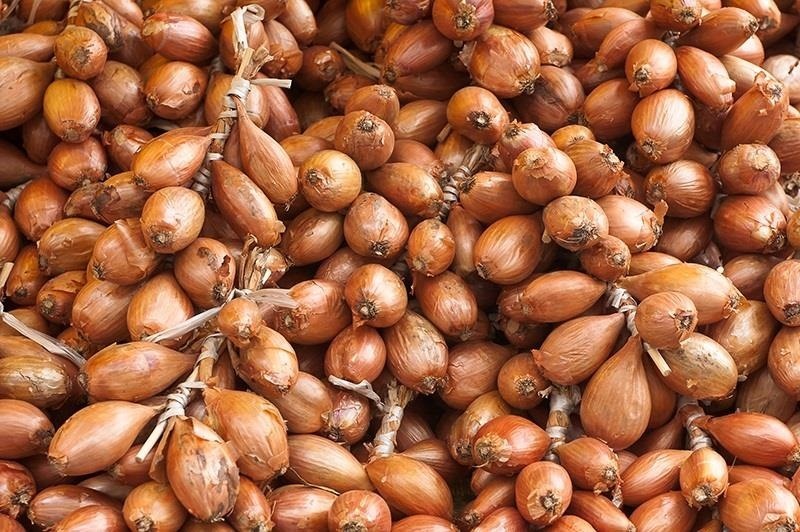 If you've never used shallots in your home cooking, you're missing out. In Kitchen Confidential, Anthony Bourdain says that shallots are one of the ingredients that make restaurant food taste better than the average person's home-cooked food. Shallots are very mild and sweet. They can be used in almost any recipe and work really well when you don't want an overpowering onion flavor. They're also perfect for raw dishes since they're crisp but not pungent like onions. Potato or "multiplier" onions are similar to shallots, but grow larger bulbs. What Are Your Personal Onion Tips? So now you know which onion to use, but what about how to chop it up? 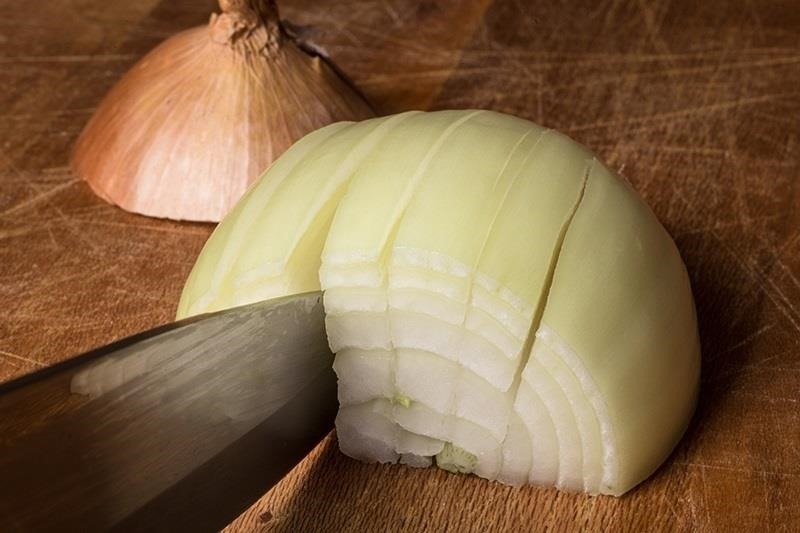 If you need a refresher on your knife skills, check out our guide to slicing and dicing onions like a pro. And if you have any super secret tips on more or better ways to use this onion for that dish, share below! News: "Papal Infallibility Invoked To Allow Scrabble Word"
+1 for shallots. Every time I get them in a restaurant dish it makes me wonder why I've never cooked with them. If you or someone you cook for is especially sensitive to the powerful flavor of raw onions you can mellow out the flavor a bit by rinsing your sliced or diced pieces in water. They'll still retain a good flavor, but the extra juices will be washed away so they'll also leave a gentler impression on the palate and in the aftertaste. With "sweet" onions... these days you need to look for the flattest onions at the store - they are the ones that will be great for salads and sandwiches is you like a sweet onion rather than the slight bite of a red one. The flattest red onion is also the mildest of that variety. I don't remember where I read this hint, but it has never let me down. i grab at least one yellow onion pretty much every time i go to the grocery store, which is at least once a week. i recommend giving them a slight squeeze to ensure it's completely firm as any softness indicates it's going bad. needless to say, i cook with onions quite a bit. i also keep a couple shallots, some green onions and a red onion on hand, just because i love them all. 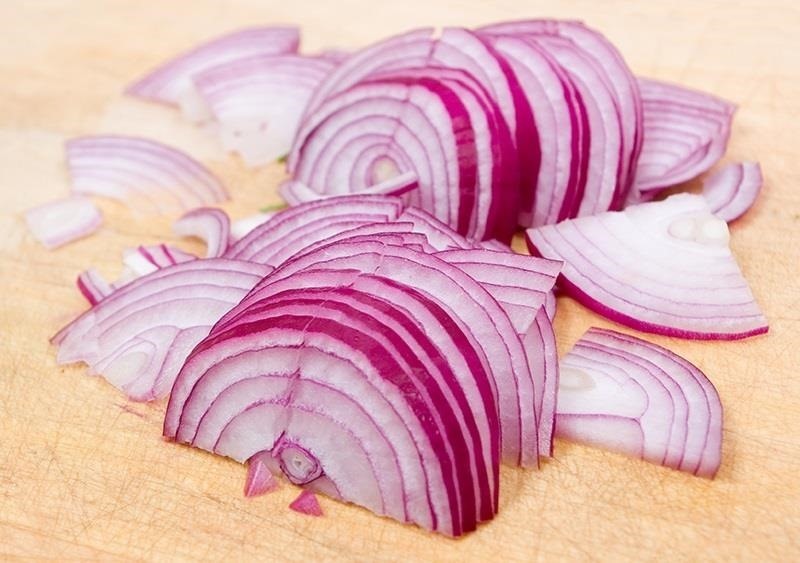 for red onion, when i'm using them raw such as on a salad, i slice them very thin and let them sit in ice water while i prepare the rest of the veggies. 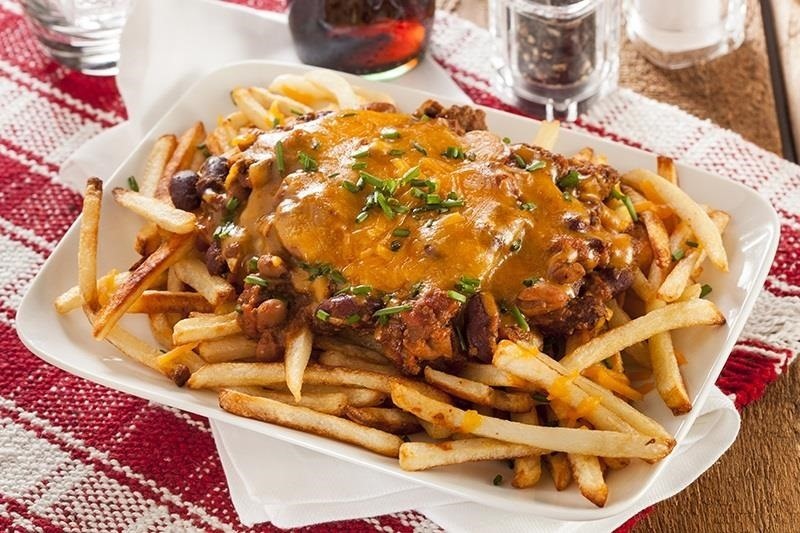 this takes the oniony bite out of them while retaining all the flavor. they're also great carmalized. shallots take the place of onions for all my pastas and sauces. they have such a mild but very good flavor, i've even caramelized them to top canapes as a flavor-filled garnish. sliced green onions go on pretty much every soup or stew, especially chili, gumbo and beans & rice. in the summer, i grab some spring onions (the green onions with the large bulb) to throw on the grill with steaks, especially skirt steak (arrachera) for tacos. 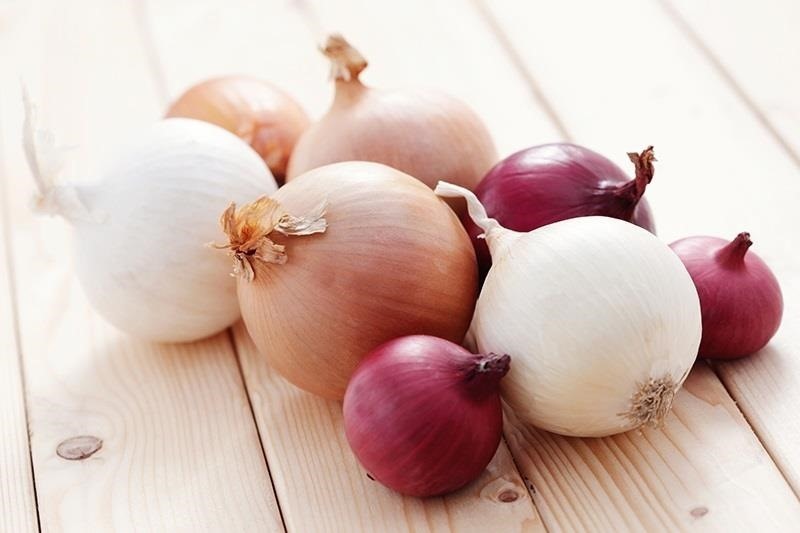 "Brown/yellow onions" are usually referred to as white onions. "White onions" are sold with the stalk and are typically called salad onions. "Green onions/scallions" are called spring onions (and I'd discard only the very end where the roots are – discarding half an inch as suggested seems like too much).